Ecotoxicological effects have been demonstrated for a number of surfactants or their metabolites, including some still currently in use, such as the nonylphenol ethoxylates , and as such there is a necessity to find more environmentally acceptable alternatives. Whilst the silicones are not the major surfactant type in use to date, the efficient properties and indications of low environmental persistence and toxicity demonstrate their potential for widespread use [2-4]. Relatively little is known about these new, rapidly emerging surfactants and the purpose of this chapter is thus to collate the available data, present new data, and identify the future research required in this area in order to evaluate the environmental relevance of this class of surfactants. In general organosilicone materials are considered to be of minimal concern, and thus there is relatively little environmental regulation worldwide . Consequently, limited information regarding the environmental loading and occurrence of the silicone surfactants is available, despite the existence of silicone environmental health and safety councils in several countries.1 The most recent data available were published in 1993, where the estimated annual use of the polyethermethylsiloxanes (PEMSs), the most widely used silicone surfactants, was reported to be 18 300 tons in the USA . 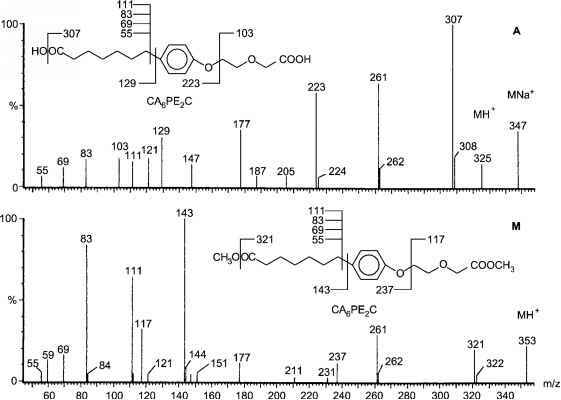 The resultant annual environmental loading was reported to be 10 240 metric tonnes, with the remaining 44% of that produced (8100 metric tonnes) being used as intermediates in manufacturing processes and thus not entering the environment in surfactant form. Entry into the environment by dispersion over time and into the air compartment was described as negligible (< 10 metric tonnes annually). A summary of the methods of disposal, and annual amounts used for the main PEMS surfactant applications, is presented in Table 5.5.1 . 1 USA: Silicone Environmental Health and Safety Council (SEHSC); Europe: Centre Europeen des Silicones (CES); Japan: Silicone Industry Association of Japan (SIAJ); Global: Global Silicones Council (GSC). Worldwide use of silicone surfactants in polyurethane foam production was 30 000 metric tonnes in 1995 . Assuming analogous use profiles for the USA, this would infer a worldwide annual use of 70 000 metric tonnes for all silicone surfactants. Whilst this figure is not large compared with total world surfactant consumption (< 1% of the 10.2 million metric tonnes reported in 1996) , an average annual growth rate of approximately 7% for the silicone industry in general , indicates that the use of these compounds may also increase.